Thank you to the 98 authors who participated in our MY SWEET WORD Series! A heartfelt thank you to the 98 authors — from 25 states and 13 countries — who contributed their work to our MY SWEET WORD Series, which ran from September 16 – October 31, 2015. We really loved this series! One of the best ever! Many thanks to our authors from around the world! Thomas R. Thomas publishes the small press Arroyo Seco Press. Publications include Carnival, Pipe Dream, Bank Heavy Press, Chiron Review, Electric Windmill, Marco Polo, and Silver Birch Press. His books are Scorpio (Carnival) and Five Lines (World Parade Books). The art of invisibility is coming in 2015. His website is thomasrthomas.org. to trick or treat with Mary Kay and Carolyn. all mothers in apple aprons smiling like June Cleaver. like munchkins, from door to door, a litany of thank yous, thanks. Milky Ways, caramels and chocolate kisses. 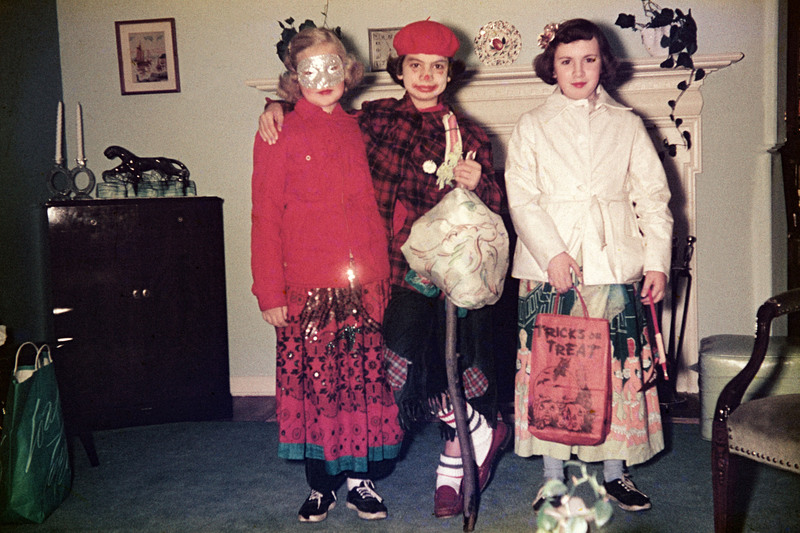 PHOTO: The author (center) with friends Carolyn and Mary Kay (Halloween, 1953). 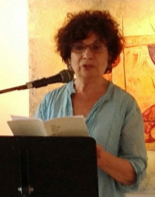 ABOUT THE AUTHOR: Mary Leonard is an Associate of the Institute for Writing and Thinking at Bard College. She has published four chapbooks of poetry at 2River, Pudding House, Antrim House Press, and RedOchreLit. Her work has appeared in many journals, such as the Naugatuck Review, Red River, Earth’s Daughters, Hubbub, and most recently in Chronogram and Blotterature. 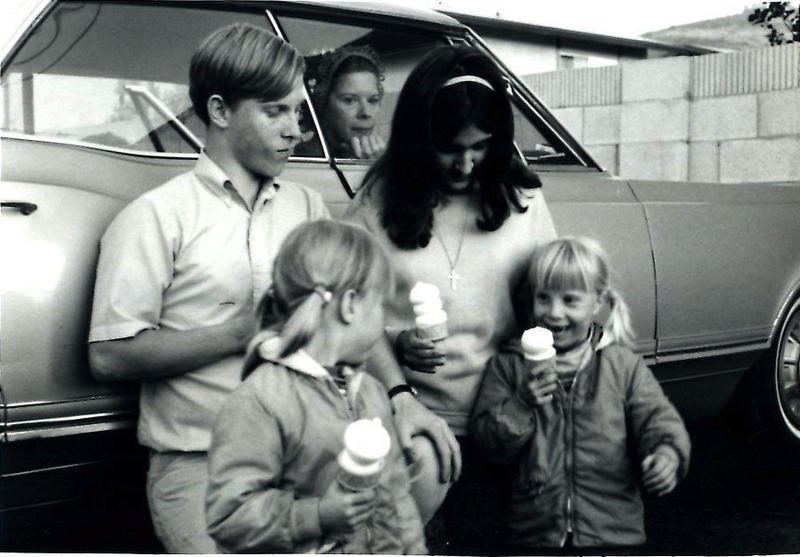 She is working on a new chapbook Living In the Hyphen and a novel, Italian Ice. Congress Street and Huntington Avenue. Ignore curfews. Challenge dimly lit doorways. within. Sometimes we would get a half-dollar. But candy was always the goal. The only goal. from waist to shoe, we would slink into the night. certainly keep us safe under any circumstance. slick with sweat and condensation. more proud to be greedy. 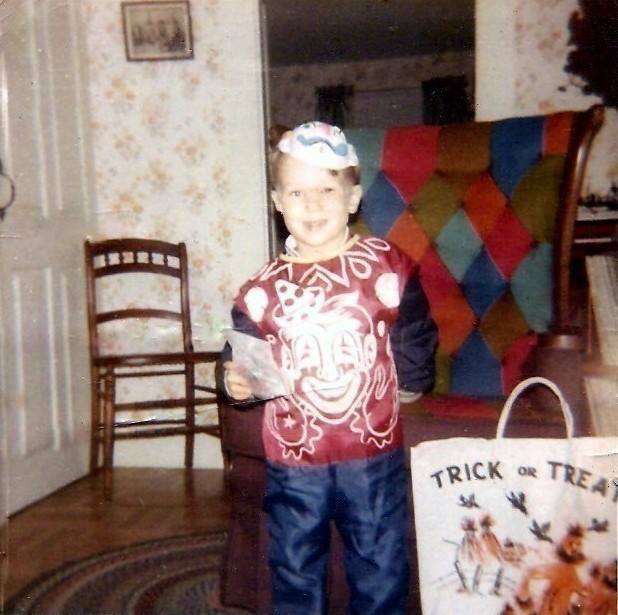 AUTHOR’S PHOTO CAPTION: This is me trick or treating at my aunt’s house in 1971. My four-year-old brain had already figured out the whole “the bigger the bag, the bigger the haul” thing. NOTE FROM THE AUTHOR: I had been working on a piece about Swedish Fish when I spotted a blog post from Silver Birch Press prompting the authors to submit photos of themselves trick or treating. This got me to thinking about all the rules and rituals we had as kids when we went out on Halloween. My goal was always to make my candy stash last from Halloween until Thanksgiving. And, as far as I can recall, I only came up short a couple of times. Richard L. Levesque has been writing and publishing poetry since 1991. He is the author of two chapbooks, Bone-Break Psychobilly Stew and Fetal Graceland. He is currently working on a third chapbook, Carriagetown Frogs, about his life growing up in Amesbury, Massachusetts. He currently resides in Indianapolis, Indiana, with his wife Lorrie. the intricate secrets of long division. I never did catch up. 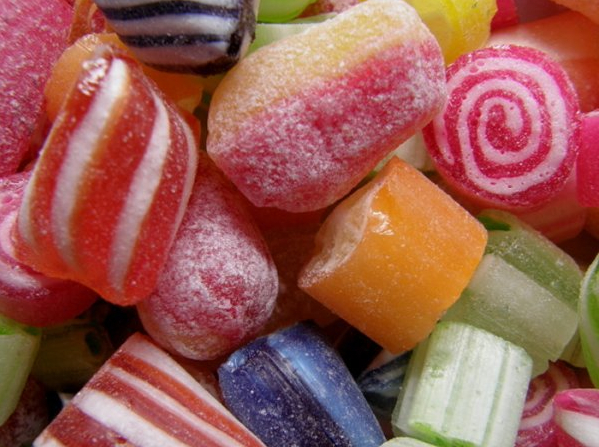 of cousinly candy divisions, long and short. we seven gathered at Grandma’s. onto her red wool oriental rug. chocolates, the popcorn balls, the nut things. good and plenty and the rest. until the chocolate began to flow my way. By dividing their interests, I conquered. 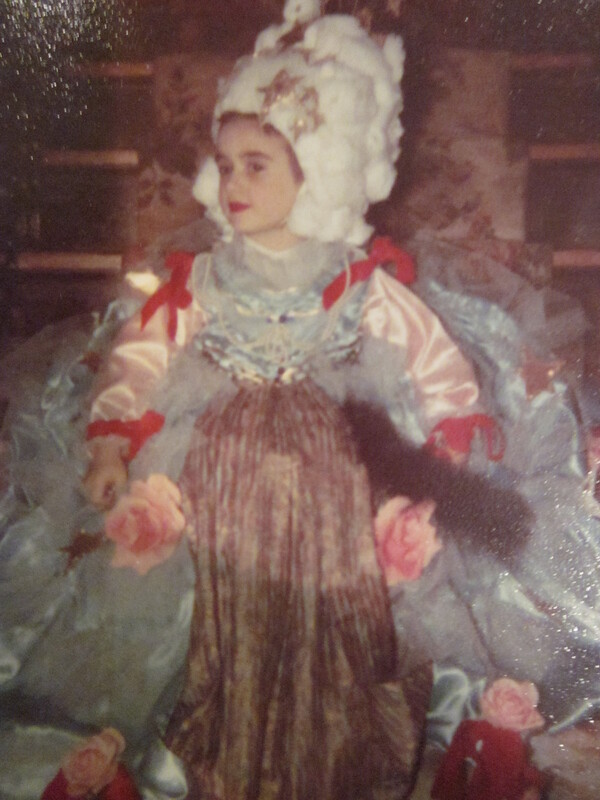 PHOTO: The author at around age four in a Marie Antoinette costume made by her Aunt Claudia. NOTE FROM THE AUTHOR: This photo comes from a newspaper photo shoot for the Sunday supplement of The Pittsburgh Press, years ago. 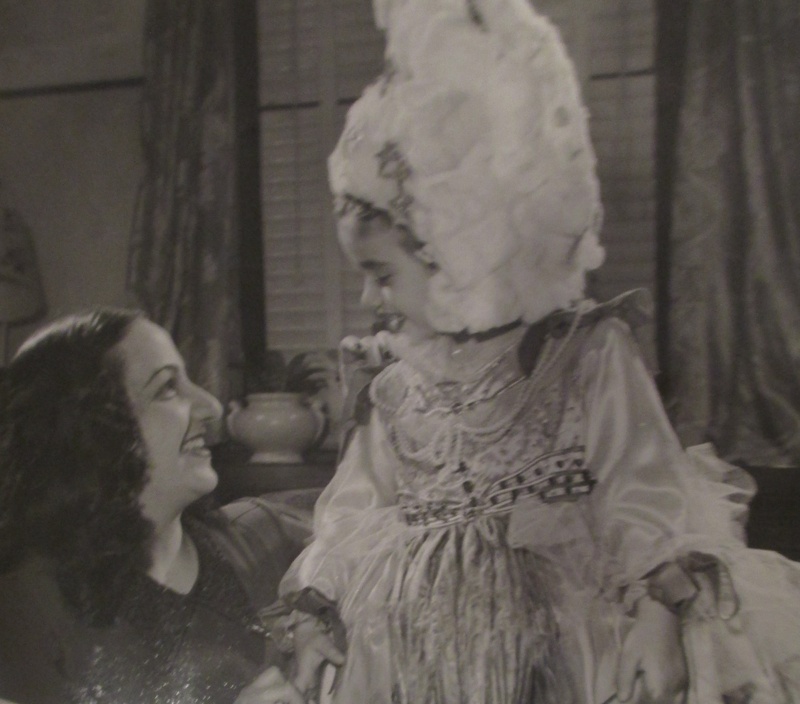 The supplement honored Aunt Claudia for her gourmet cooking, fabulous parties, and her wonderful artistic skills — which included having just won a prize in a citywide amateur art contest for a portrait of a family friend and doing things like making this Marie Antoinette costume. Aunt Claudia was my godmother. She was the ultimate, real live fairy godmother making costumes, then dresses, painting china, taking me to New York for graduation — we stayed at the Plaza, went to see Hello Dolly with Carol Channing and the next night ate at Luchow’s, the restaurant that inspired part of the show. She went to Egypt not long after making this costume for me and instilled a lifelong love of that land in me. She showed her slides of Egypt and the Holy Land at my school every year. She made birthday cakes in wild shapes for me but most of all, she provided an additional anchor of love in my life and a spur to my own creativity. Although there are many large memories in my heart—like this costume—one of the memories I cherish most is of nestling in her lap as she read stories to me on my Grandma’s front porch. Thank you, Auntie! Claudia Cuda Kraft, 1919-2015. 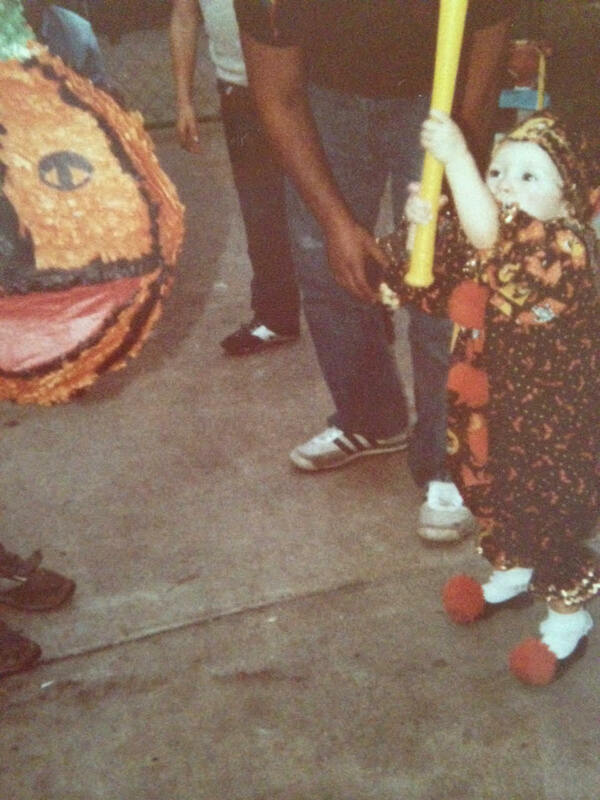 Nearly every party I ever remember growing up included a piñata stuffed with candy (and money if we were lucky.) I remember one year we celebrated my little brother’s birthday late. He is a July baby but Mom and Dad were broke so his birthday got lumped into a Halloween celebration. The piñata was a large jack-o-lantern and heavy like they’d filled it with bricks of tootsie rolls. 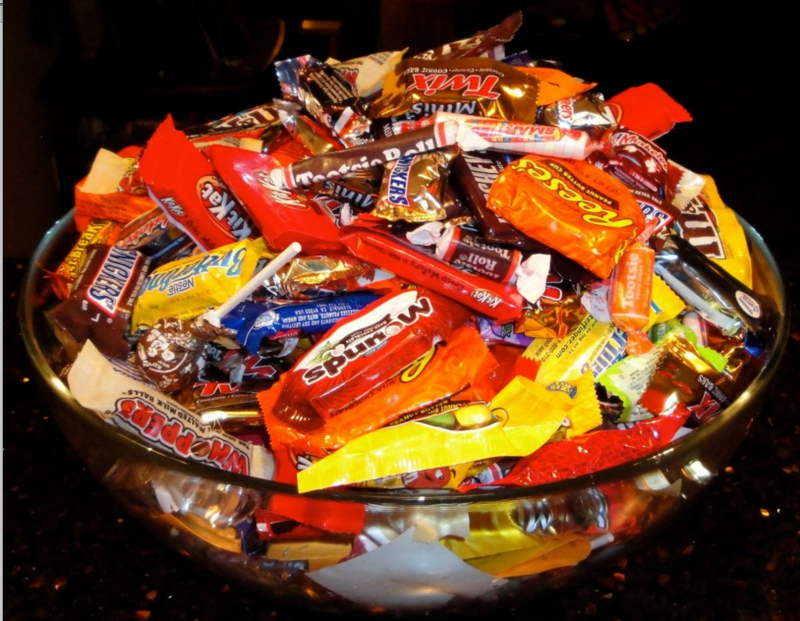 Know what’s better than getting candy? 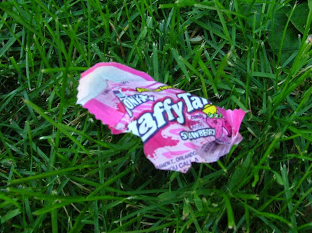 Getting candy after beating something colorful until it cracks open, rushing to the ground in a frenzy and piling as much candy as you could into your bag, or your shirt or both! Now that I’m an adult I love watching children go through the traditions I once went through; the excitement that fills their eyes and the way that some of them are nervous and new to the experience but still very eager. The way they stumble after being blindfolded and the attempts at hitting something moving and not knowing where it is. The sound that cuts through the air when the piñata bursts and a horde of children rush the scene, that’s priceless. Halloween, chocolates and Super Hero costumes are amazing all alone. 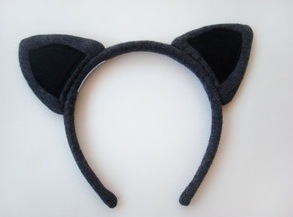 Add in a piñata and you’ve got party gold. PHOTO: The author on Halloween 1983. Sarah Frances Moran is a writer, editor, animal lover, videogamer, queer Latina. She thinks Chihuahuas should rule the world and prefers their company to people 90% of the time. Her work has most recently been published or is upcoming in The No Se Habla Espanol Anthology, Elephant Journal, Drunk Monkeys, Rust+Moth, Maudlin House, Blackheart Magazine, Red Fez, and The Bitchin’ Kitsch. She is Editor/Founder of Yellow Chair Review. These days you can find her kayaking the Brazos in Waco, Texas, with her partner. You may reach her at sarahfrancesmoran.com. of costume resources, I wore the default costume. Hobo. Easy. about Basho walking on foot through Japan very much like a hobo. of petal to wing . . . SOURCE: Tanka portion first appeared in Cattails, “Pen this Painting,” Sept. 2015, with art by Cindy Lommasson. 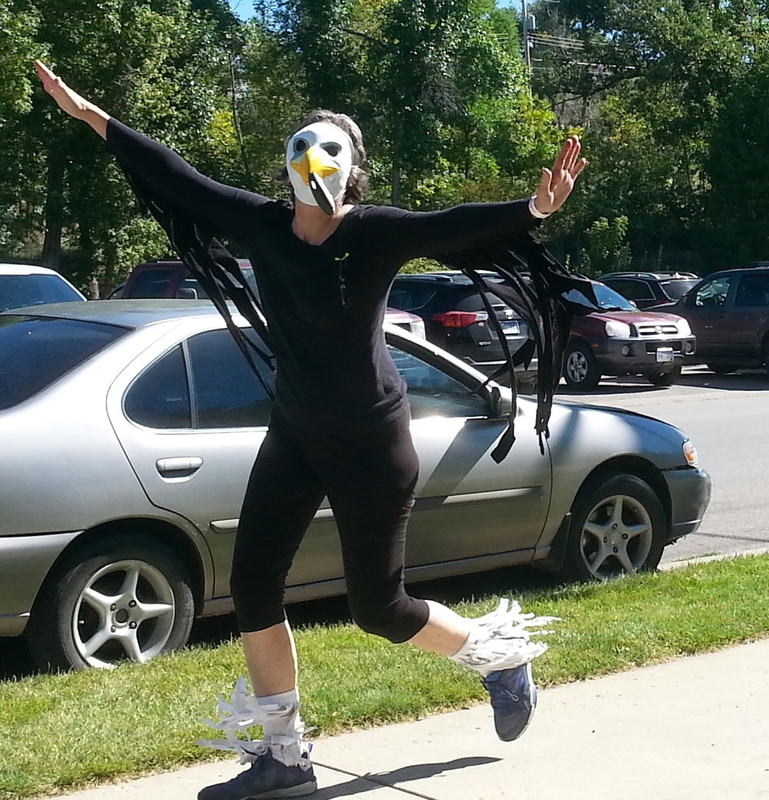 PHOTO: The author in an eagle costume for a fundraising run/walk event for the DC Booth Historic National Hatchery & Archives in Spearfish, South Dakota (September 2015). Photo by Pat Dufur. NOTE FROM THE AUTHOR: I was not compelled to write about any candy until the submission call for Halloween candy arrived from Silver Birch Press. A flood of memories poured out and delivered an epiphany in the last two lines that surprised me. ABOUT THE AUTHOR: Jari Thymian’s poetry has appeared in publications including tinywords, Skylark, Cattails, KYSO Flash, The Furious Gazelle, The Journal of Compressed Creative Arts, and Bamboo Hut. She and her husband live in an RV and travel year-round while volunteering in national parks in the USA. This past summer, they volunteered for four months in Spearfish, South Dakota, at the DC Booth Historic National Fish Hatchery and Archives. 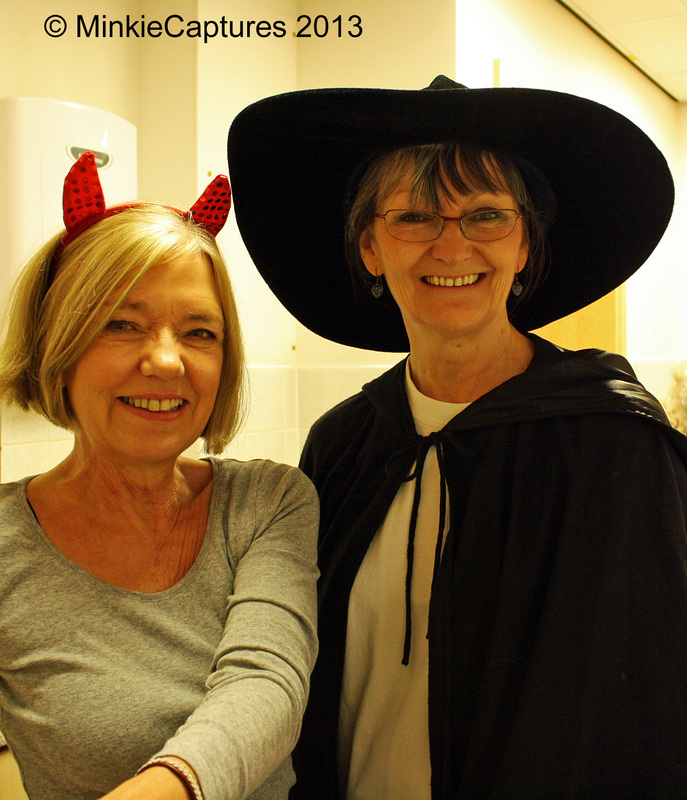 NOTE FROM THE AUTHOR: Written for the Silver Birch Press MY SWEET WORD: Halloween Edition with fond memories of Hallowe’ens at St John’s Library in Worcester, UK, where I’ll be behind the counter serving with Di again this year. ABOUT THE AUTHOR: Polly Robinson is active in the Worcestershire (UK) literary scene and is a resident artist at Croome Court. Writing for both page and performance, her work has been widely published in anthologies. Her publications, Girl’s Got Rhythm and Chatterton, can be found on Amazon. Polly occasionally dabbles with Facebook and posts at journalread.com and pollycroome.wordpress.com. 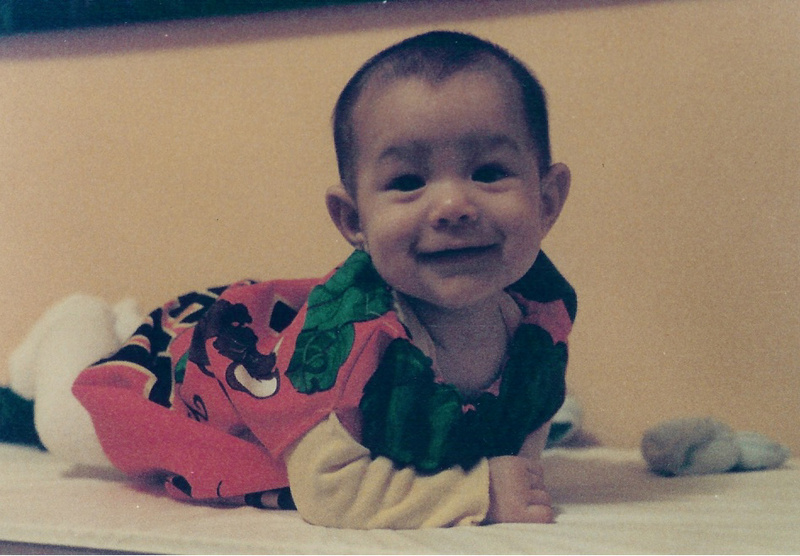 AUTHOR’S PHOTO CAPTION: My first pumpkin, daughter Jenny (October 1984). NOTE FROM THE AUTHOR: Halloween is definitely a big date on the pediatric calendar! Some years I give out pretzels or popcorn balls, some years glow-in-the-dark bats and snakes, other years it’s toothpaste. (Not so popular.) In my village, unless it rains heavily or snows we have at least 400 trick or treaters. Exhausting. By the end I’m giving away anything I can find—stamps, tongue depressors, paperclips. I might accept at last her bows and baubles. My figure was quite precocious. At last, I let her show me off. my coat and flashlight, shopping bag. Too old for trick or treat. This poem, written to the Silver Birch Press prompt, is one of a series of autobiographical pieces I have written about traumatic events in my youth. Many of these (though not this one) will appear in my new collection of poems, Other-Wise, to be published by Tebot Bach Press. 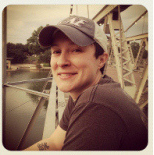 ABOUT THE AUTHOR: Robbi Nester lives and writes in Southern California, but grew up in Philadelphia. Her birthday almost coincides with Halloween, so the two are often conflated in her mind. 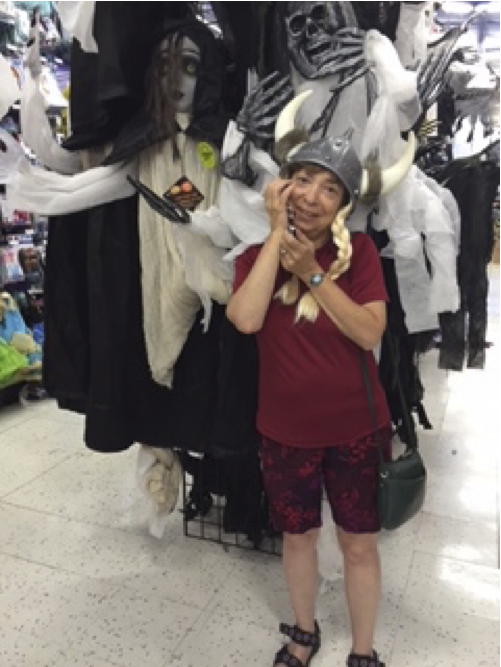 PHOTO: The author trying on a Brunhilda helmet (complete with braids) at a Southern California costume shop (2015).